Using coconut oil can be really beneficial for your health. Coconut oil is a food that can be classified “superfood“, since it can be beneficial for weight loss, it can improve skin health and more. 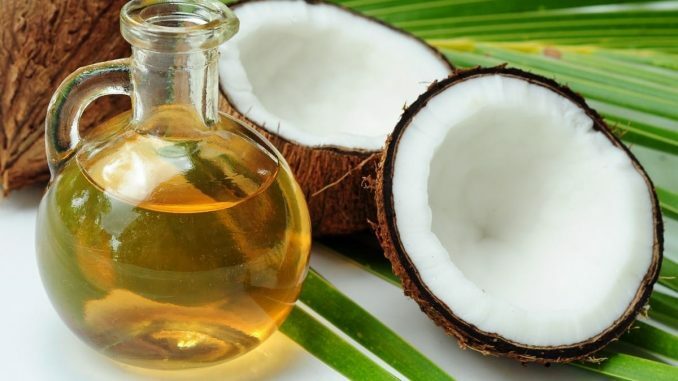 Coconuts are not too expensive and you can find coconut oil easily in every shop or beauty salon. Using coconut oil can be very beneficial for your health in many specific ways, so here are some of the most notable. Some populations of the Pacific have coconut oil in their daily diet. Even though coconut oil is full of saturated fats, some people, like the Tokelauans, from the South Pacific, are in full health and show no signs of damage caused by coconut oil. The medium-chain triglycerides contained in coconut oil can help you reduce fat faster than other food. Scientific studies showed that 15-30 grams of these triglycerides can up the daily energy expenditure by 5%. Coconut oil contains Lauric Acid. This acid can be very harmful to microorganism, since it forms monolaurin. Monolaurin can kill a lot of bacteria, fungi and and viruses. Coconut oil can also reduce hunger, causing you to eat less and burn fat faster. The fatty acids in Coconut Oil can turn into Ketones that can reduce seizures. As you can see, this oil can be very good for your health, but don’t overconsume it or, like everything else, it may be harmful.